Heating with wood is – even if you don‘t own any forests of your own – extremely economical. It doesn‘t damage the climate, strengthens the domestic economy and is crisis-proof as wood is freely available in Europe. A modern log boiler is highly effective. Normally, you only have to add fuel once a day, on very cold days maybe twice. But a log boiler does not run fully automatically. Heating with wood (logs & pellets) – is an ideal combination – extremely economical. A modern log boiler combination is highly effective. Normally, you only have to add fuel once a day, on very cold days maybe twice. But a combination log boiler can run fully automatically if using pellets only. The EHargassner Pellets Classic is the ideal pellet boiler for the renovation of new build of single- family and multi-family homes. An entire heating system is packed into a compact boiler. Highly efficient pump, safety valves and more are already integrated. This reduces the space required and assembly costs! The PelletsUnit is not just small, but also flexible: even a second heating circuit can be connected! The Hargassner Pellet Classic is the ideal boiler for cosy hours in single-family and multi-family homes. The Nano Pellets is equipped with a controller for the entire heating system. Whether you want to integrate a solar heating system, a conventional hot water preparation system or a buffer storage with fresh water module, whether the energy is transferred with radiators or via under floor heating: You‘ve got everything under control via a touchscreen on the boiler or also via computer or smartphone. Simple images show you if your solar heating system was successful or how full your buffer is. 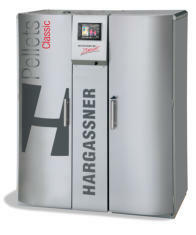 The Hargassner NANO pellet is the ideal boiler for large single family houses, apartment buildings and businesses. The heating requirements in large apartment blocks and industrial buildings are often very high, and so are the on-going costs for heating and hot water - especially if you still use fossil fuels. The conversion is worth it – especially when it‘s as easy as with the Pellet-Saugen. 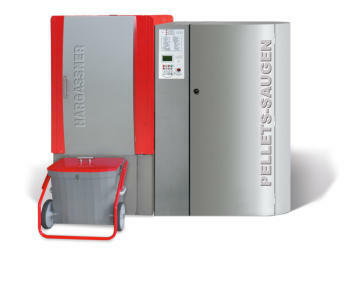 The Hargassner Pellet-Saugen is ideal for large apartment blocks, residential buildings, commercial operations and for small local heating networks. 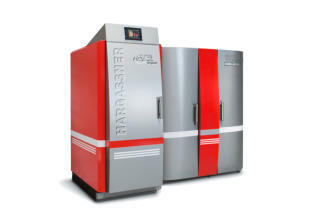 The Hargassner chip (Hack) is therefore ideal where heating needs to be economical, environmentally-friendly and fully automatic, above all in agricultural businesses, industry, commerce and in the form of local heating networks. 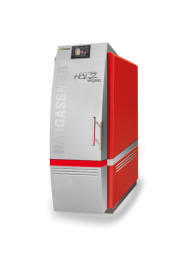 The Alternative heating Company is an approved installer of Hargasser biomass boilers in the UK. Hargassner has been established for over 30 years, with over 30,000 customers worldwide. The award winning Austrian brand stands for safe, sophisticated, innovative and clean energy production. 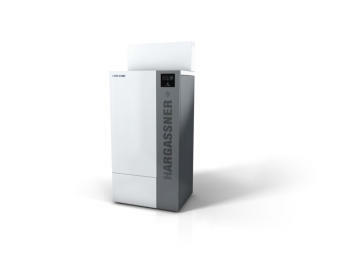 Hargassner offer a range of eco-friendly pellet and multi-fuel boilers for domestic and commercial biomass application. 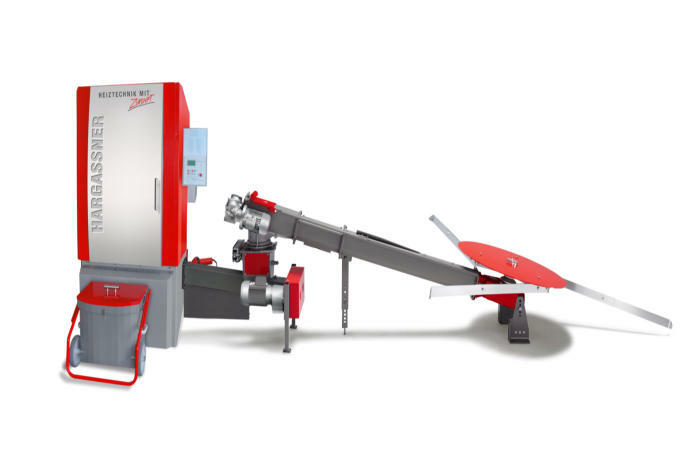 The biomass boilers are RHI complaint and fully equipped with a calibrated and approved heat meter capable of accurately recording the heat produced by the boiler. In times of rising raw material costs, it is really a challenge to heat larger properties – not, however, if you rely on a crisis-proof and domestic fuel such as wood chips. Wood chips are produced from wood that is difficult to reuse, such as thinning materials, splinters of wood after storm damage and sawing residue from domestic wood processing plants. It is chopped in powerful chippers and according to predefined standards. The size of wood chips is standardised. Sizes from P16S - P31S are suitable for our systems.